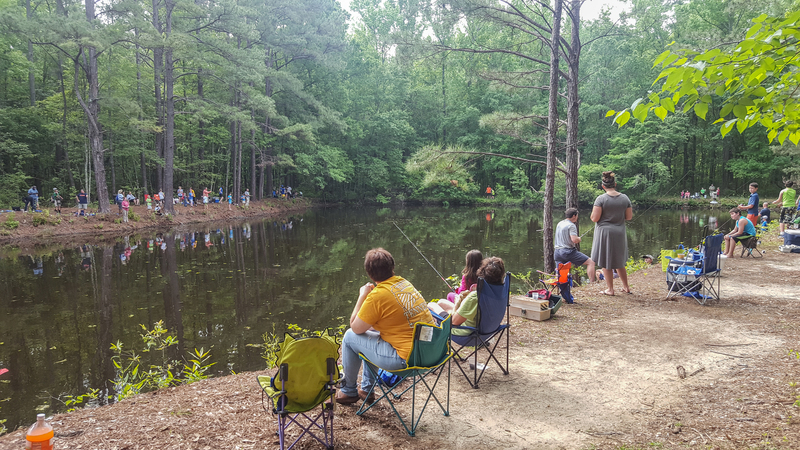 Historic Camden boasts a scenic nature trail and pond on the south side of the property. The trail is about a quarter of a mile long, and goes through the woods to Big Pine Tree Creek. At the start of the trail is a fishing pond. The trail is a great place to see a variety of animals and plants (although please be careful of snakes and other creatures). Enjoy a peaceful time in nature at Historic Camden! Access to the nature trail and pond is included in site admission and membership. Please stop by the gift shop before visiting the trail. Anyone who would like to fish MUST have a fishing license. For one-time fishing in the pond, please pay site admission. For multiple uses, buying a membership is a good idea.